The twenty-second session of the Conference of the Parties (COP22) and the twelfth session of the Conference of the Parties serving as the Meeting of the Parties to the Kyoto Protocol (CMP12) opened today, November 7, at the Bab Ighli village site in Marrakech with the election of COP 22/CMP12 President Salaheddine Mezouar and the official transition from the French COP21 to Moroccan COP22 Presidency. The official opening ceremony to the Marrakech Climate Change Conference featured remarks by COP22 President Salaheddine Mezouar, COP21 President Segolene Royal, UNFCCC Executive Secretary Patricia Espinosa, Intergovernmental Panel on Climate Change (IPCC) Chair, Hoesung Lee and the Mayor of Marrakech, Mohammed Larbi Belcadi, followed by a performance by a group of local drummers to set the beat for climate action over the next 11 days of the conference. Segolene Royal opened the session by celebrating the entry into force of the Paris Agreement on November 4 and praised the close coordination between France and Morocco over the past year in the lead up to COP22. “The rapid entry into force of the Paris Agreement is unprecedented and sends a powerful signal of world’s commitment to combatting climate change.” Underscored the COP21 President. Salahedinne Mezouar welcomed all participants to Marrakech for two weeks of climate action including the historic first meeting of the Parties to the Paris Agreement that will take place on November 15. The COP22 President called on all participants to commit to concrete climate initiatives and actions to support the most vulnerable countries to the impacts of climate change especially in Africa, least developed and small island developing states. He announced that during COP22 Morocco, along with a number of partners will launch the National Determined Contributions (NDC) Partnership to build capacity and direct climate finance flows towards the most vulnerable. “Paris gave us a global commitment to climate change and COP22 in Marrakech will give us more ambitious climate action. We must all rise to the challenge in support of the most vulnerable countries in the fight against climate change” underscored the COP22 President. Patricia Espinosa emphasized the historic significance of Morocco and Marrakech as host of the UN Climate Change Conference. COP7, held in Marrakech in 2001 produced the Marrakech Accords and COP22 will feature CMA1 and the first global climate action agenda that will feature thematic showcase events, dialogues and a high-level event to call on more coordinated and ambitious climate action between States and civil society. 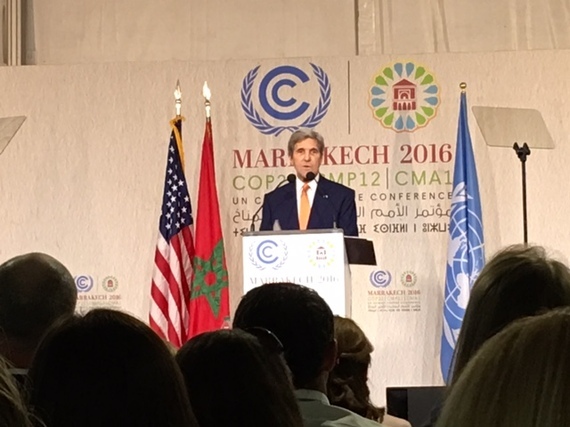 of State John Kerry reaffirmed the US commitment to addressing global climate change here at the UN climate conference in Marrakech, Morocco. 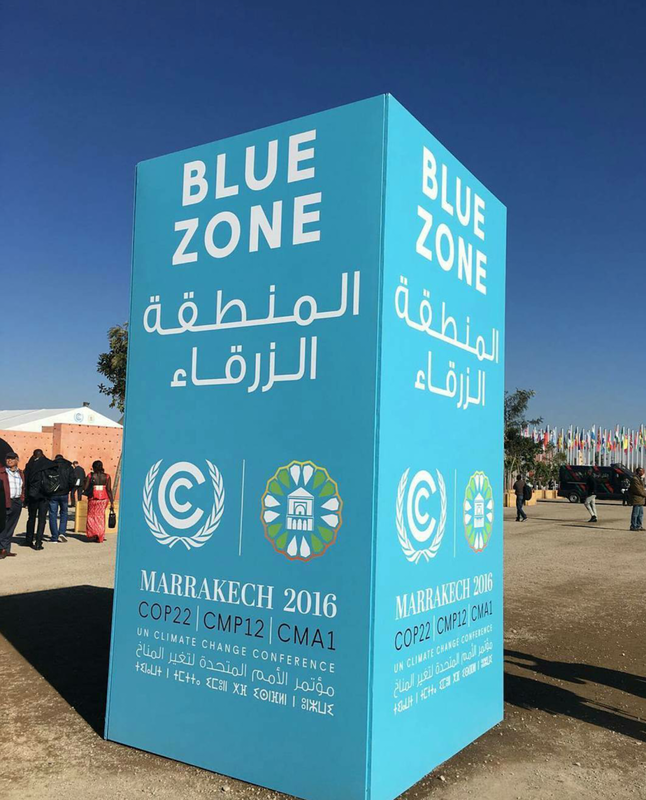 Marrakech serves as host city for the 22nd Conference of Parties (COP22) under the United Nations Framework Convention on Climate Change (UNFCCC). The world must now wait to see if the incoming Trump administration will honor those commitments, or if the US will become a rogue nation that denies the very existence of climate change as a hoax “created by and for the Chinese to make US manufacturing less competitive.” Once inaugurated, Trump will stand as THE ONLY head-of-state who denies the science of climate change. Yesterday, King Mohammad VI welcomed dignitaries to the COP22 High-Level Segment in Morocco, “the land of dialog and coexistence, the crossroads of civilizations.” Marrakech is a gritty, bustling commercial hub nestled on a plateau surrounded by the snow-capped Atlas Mountains. While the city basks under clear, blue, sunny skies, negotiators and attendees at the nearby COP labor under a dark cloud of uncertainty due to the outcome of the recent US presidential elections. During the run-up to the election, Trump proclaimed that he would withdraw from the Paris Agreement on day-one of his presidency. The historic Paris Agreement turned our global economic ship away from fossil fuels and toward a low carbon future last December when 196 Parties to the UNFCCC approved The Agreement at COP21 in Paris. November 2016 may turn out to be a true turning point in the global climate change story, or it may ultimately go down in history as a month of infamy. The Paris Agreement entered into force on November 4, 2016. COP22 opened 3 days later on November 7, dubbed ‘The COP of Action‘. A day later, the outcome of the US elections shocked the world as a minority of US voters were able to elect climate denier Trump under the US Electoral College system. 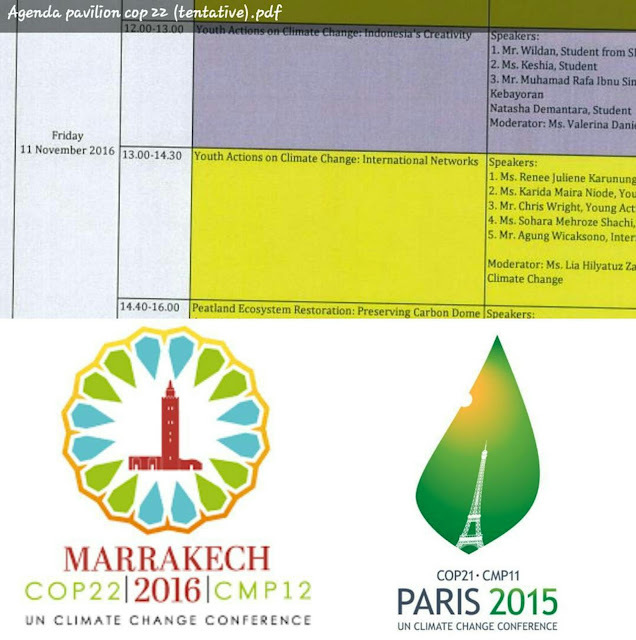 COP22 serves as the first meeting of Parties to the Paris Agreement, called “CMA1“. As such, CMA1 will establish the governing body of the Paris Agreement with authority over all administrative, procedural, operational, and substantive matters. UN Secretary-General Ban Ki-moon counseled yesterday that “countries have strongly supported the [Paris] Agreement because they realize their own national interest is best secured by pursuing the common good.” However, Trump disdains science and is surrounding himself with self-proclaimed climate skeptics. He announced Stephen K. Bannon, a right-wing media agitator, to serve as his senior counselor and chief strategist. He is eyeing climate skeptic Myron Ebell to lead the EPA. He appears to be tapping fossil fuel barons and anti-environmental regulation industrialists to stack his senior administration. He is rumored to be considering Sarah ‘drill-baby-drill’ Palin for Secretary of the Interior. Will this inner working circle heed Ban’s warning that “no country, however resourceful or powerful, is immune from the impacts of climate change”? The World Meteorological Organization (WMO) released a provisional statement here in Morocco just two days ago projecting that “2016 is on track to be the hottest year on record” and that “long-term climate indicators are also record breaking.” 2015 currently holds the record for hottest year. 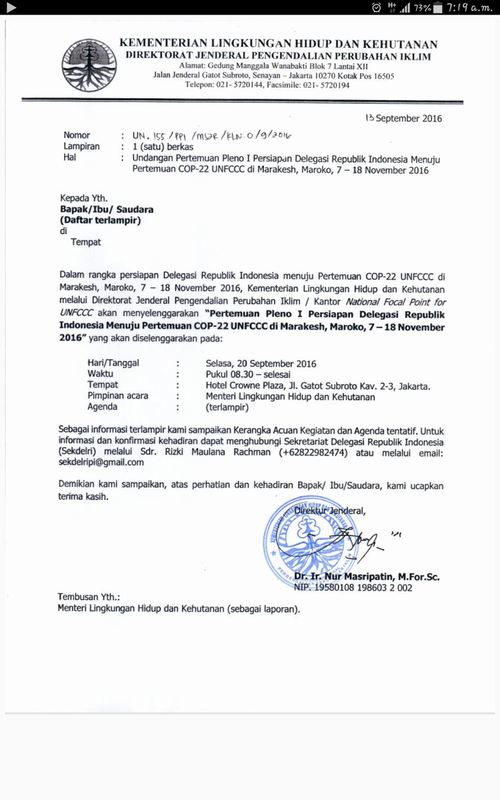 The WMO Statement was released to inform COP22 negotiations.